Tustin is a city located in Orange County, California, in the Los Angeles metropolitan area. Get out of town with these interesting Tustin side-trips: Laguna Beach (Treasure Island Beach, Table Rock Beach, & more), Dana Point (Salt Creek Beach, Hill Top Park, & more) and Cismontane Brewing Co., Rancho Santa Margarita (in Rancho Santa Margarita). There's lots more to do: stroll through Heisler Park, hike along Bommer Canyon Trails, make a trip to Capistrano Depot, and take a peaceful walk through Chino Hills State Park. For where to stay, maps, more things to do, and more tourist information, you can read our Tustin road trip planning tool . Chattanooga to Tustin is an approximately 11-hour flight. You can also drive. Due to the time zone difference, you'll gain 3 hours traveling from Chattanooga to Tustin. Plan for somewhat warmer nights when traveling from Chattanooga in April since evenings lows in Tustin dip to 56°F. 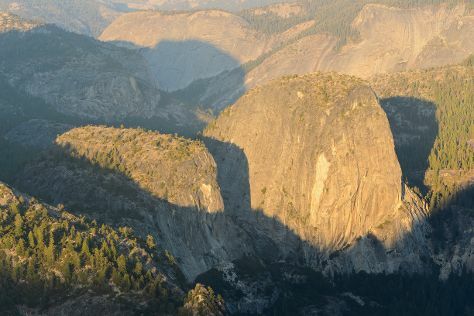 Wrap up your sightseeing on the 8th (Wed) early enough to travel to Yosemite National Park. Change things up with a short trip to Food Tours in San Francisco (about 1h 25 min away). Spend the 12th (Sun) exploring nature at Bridalveil Fall. Spend the 15th (Wed) on the water with a fishing tour. The adventure continues: take in the dramatic natural features at Glacier Point, stroll through Elizabeth Lake, Yosemite National Park, admire the sheer force of Yosemite Falls, and trek along Mariposa Grove of Giant Sequoias. To see reviews, ratings, where to stay, and tourist information, read Yosemite National Park trip itinerary builder website . Use the Route module to find suitable travel options from Tustin to Yosemite National Park. While traveling from Tustin, expect slightly colder days and colder nights in Yosemite National Park, ranging from highs of 65°F to lows of 34°F. Wrap up your sightseeing by early afternoon on the 22nd (Wed) to allow time for travel to Leadville. Leadville is the statutory city that is the county seat and only incorporated municipality in Lake County, Colorado, United States. You'll find plenty of places to visit near Leadville: Keystone Ski Area (in Keystone), Breckenridge (Breckenridge Ski Resort, Main Street, & more) and Buena Vista (River Rafting & Tubing, McPhelemy Park, & more). On the 27th (Mon), spend an exhilarating day on the slopes at Ski Cooper. There's much more to do: stroll through Copper Mountain, make a trip to Top of the Rockies National Scenic Byway, delve into the lush surroundings at Gunnison National Forest, and glide through natural beauty at Sally Barber Mine Trail. To see where to stay, photos, ratings, and more tourist information, read our Leadville journey planning app . You can do a combination of flight, shuttle, and bus from Yosemite National Park to Leadville in 8 hours. Other options are to do a combination of bus, flight, and car; or do a combination of bus, flight, and shuttle. The time zone difference moving from Pacific Standard Time (PST) to Mountain Standard Time (MST) is 1 hour. Plan for little chillier temperatures traveling from Yosemite National Park in May, with highs in Leadville at 52°F and lows at 27°F. Finish your sightseeing early on the 2nd (Sun) to allow enough time to travel to Chattanooga. Explore Chattanooga's surroundings by going to Ellijay (Build an Ark Animal Rescue, Vets Memorial Park, & more), Blue Ridge (Fly Shop Company & Mercier Orchards) and Amicalola Falls State Park (in Dawsonville). There's much more to do: admire nature's wide array of creatures at Tennessee Aquarium, take in the awesome beauty at Lookout Mountain, witness the site of a historic battle at Chickamauga and Chattanooga National Military Park, and snap pictures at Walnut Street Bridge. To find traveler tips, other places to visit, photos, and tourist information, refer to the Chattanooga trip itinerary planning website . You can do a combination of car, flight, and bus from Leadville to Chattanooga in 9 hours. Other options are to do a combination of car and flight; or drive. The time zone difference when traveling from Leadville to Chattanooga is 2 hours. While traveling from Leadville, expect a bit warmer days and much warmer nights in Chattanooga, ranging from highs of 89°F to lows of 68°F. Wrap up your sightseeing on the 11th (Tue) early enough to travel back home.